Yesterday, we went to the Montgomery Zoo. I was hoping to get some fantastic shots, but as luck would have it, that did not happen. Nothing extraordinary in the subject matter…the animals. Usually there is at least one good shot at a zoo, but this just was not my lucky day. BUT, today, in my own backyard, I spotted a butterfly. A rather large butterfly. 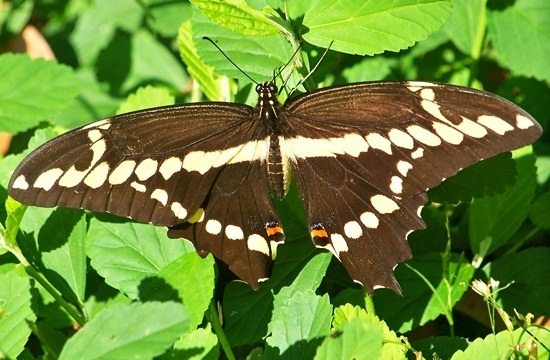 I did some research and learned that this critter is a Papilio Thaos or Kings Swallowtail. He graciously remained still while I took several photos. I am thankful for that. Most of the time they just flit around and I find myself chasing them all over the place trying to get a decent shot.